The primary objective of doping control is to ensure that, as far as possible, horses do not race with pharmacological active drugs in their system thus complying with the principle of ‘drug free’ racing. The aim is to ensure that racing performances are result of the inherent ability of the horse, the skill of the rider and the trainer and the natural condition of the horse on the day of racing. Mask the signs of pain and inflammation or the symptoms of disease so that a sore or unwell horse can get to the races and perform better than it would without the benefit of medication. What is a 'Prohibited Substance'? Prohibited substances are considered to be any substance that is capable of acting directly or indirectly on any of the body systems (a full list is contained in Australian Rule 178B). In addition to race day testing RV conducts an extensive out-of-competition testing program for non-therapeutic, or illegal substances, and an elective testing program for legitimate medications. There also are a number of rules, restrictions and other related advice that pertain to the use of prohibited substances. What determines a positive result? There are many drugs and toxins that have absolutely no place in the legitimate medication of a racehorse. These substances are treated as ‘zero tolerance substances’ and their detection at any level will be deemed to be a positive detection. However because racehorses must be able to receive therapeutic medication to maintain their health and welfare and because modern analytical technology is capable of detecting minute quantities of drugs in biological fluids, far below the level where they might exert any pharmacological effect, it is not possible to apply a ‘zero tolerance’ policy to legitimate therapeutic drugs. The regulatory objective of medication control is to ensure that, as far as is possible, a horse does not race under the pharmacological or toxicological effect of a drug. In the past, it was possible to design a rationale medication control program based on the technical limits of the analytical techniques applied to the detection of individual drugs. For many drugs this approach worked well and to a large extent the limits of detection based on historical technology has formed the base for maintaining practical detection times for many well established equine medicines. Even though modern analytical technology may be able to detect a drug at much lower levels than the older technology, there is no point in screwing down the detection level and consequently increasing the detection time. This would compromise the ability of veterinary practitioners to provide appropriate medical care and would increase the risk of positive detections caused by environmental contamination. Racing analysts and veterinary surgeons have invested considerable effort and research into determining the appropriate levels of sensitivity that should be applied to analytical testing for therapeutic substances. Is doping in Horse Racing common? Despite perceptions that the doping of racehorse is a common practice, the facts are that positive detections in Victorian racing are rare and that many violations are, in fact, the result of medication mismanagement or the accidental contamination of the horse with prohibited substances and were not deliberate attempts to cheat. Nevertheless, although the incidence of doping offences is very low, it is absolutely critical that Racing Victoria maintains a very a strong deterrent to cheating. 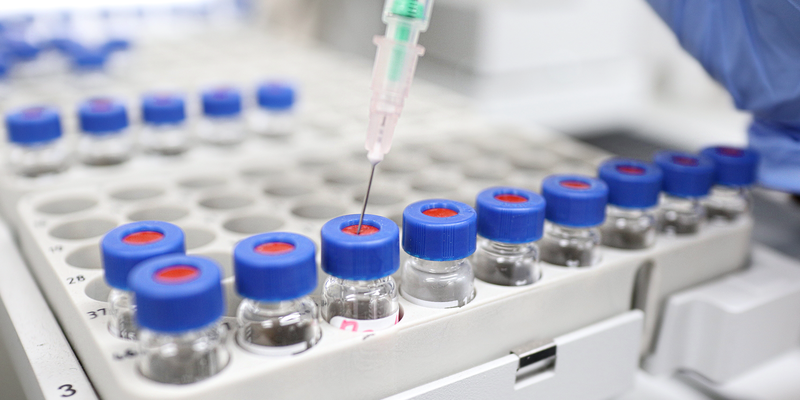 Racing Victoria invests considerable resources in technology and procedures to detect doping and to provide an effective deterrent to attempts to cheat. Where a trainer has concerns about the clearance of a legitimate medical treatment prior to racing or has reason to believe that a horse may have been contaminated with prohibited substances, Racing Victoria will assist trainers by facilitating the elective testing of samples collected from the horses. This will cost $186 including GST per elective test. The trainer must specify the medication to be tested for and provide specific information about the route of administration, the frequency of administration and the duration of the treatment with the substance. If it is suspected that a horse may have been accidentally contaminated with a prohibited substance, the name of the potential contaminant and circumstances under which the exposure may have occurred must be provided to the Stewards. Only the declared medication or potential contaminant will be tested for. It is not possible to provide a ‘blanket screen’ for all prohibited substances. If a horse has been transferred to a stable and the trainer wishes to perform an elective sample to establish that the horse is ‘free of prohibited substances’, the racing Laboratory will test only for long acting substances that are registered for use in horses. Download the Elective Testing Submission form here. Sampling collection procedures can be downloaded here.